✅ Trip Verified | Trabzon to Izmir with Pegasus Airlines. I was in a rush and used online check-in to be sure. But I had to give my bag to baggage check. I was late but ground staff helped me. I thought I had already missed the boarding time but again, ground staff helped me. Flight was on time. Price burned down my wallet. No giveaways. ✅ Trip Verified | Amsterdam to Doha via Istanbul. I traveled at seat 14D-F with my family. It was behind the exit seats. 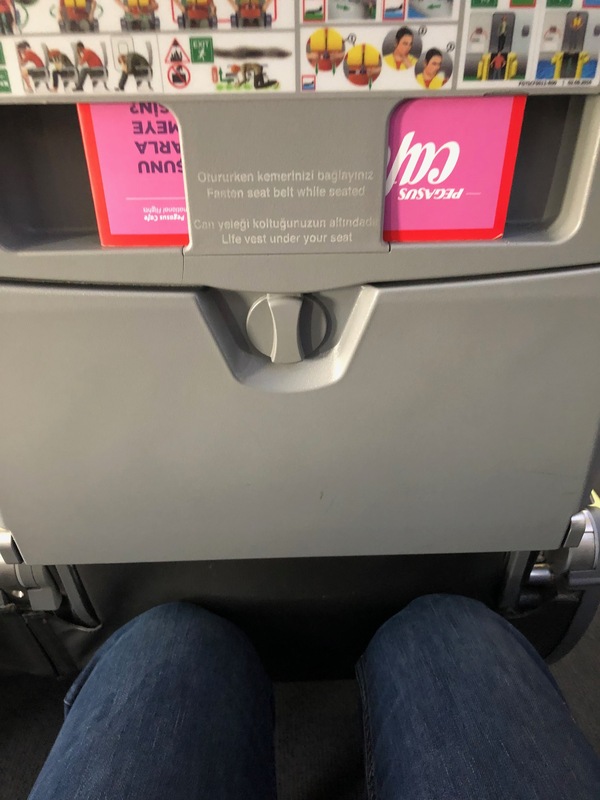 Seats were really narrow, it was a terrible flight. Additionally, the cabin temperature was high. ✅ Trip Verified | Izmir to Trabzon with Pegasus Airlines. Flight was fast and good. Most importantly, it was on time. There is no treat from the airline but food and beverage menu is rich. Prices are high. In Turkey, Pegasus is well known with flight delays but I've only experienced one at a ten. Cabin crew is good. ✅ Trip Verified | First time flying with Pegasus Airlines. Very impressed. I flew SHJ-SAW-STN (same outbound and return route). Airplane was modern (but with no TV on back of screen). Cabin crew were very friendly, attentive, well presented and approachable. They all spoke English. Safety briefing was conducted in dual Turkish/English. Airplane ran on time, no delays. Ground staff were efficient. 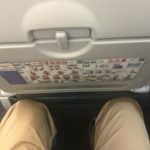 I booked an exit row seat for the SAW-STN leg which provided ample room to stretch out. 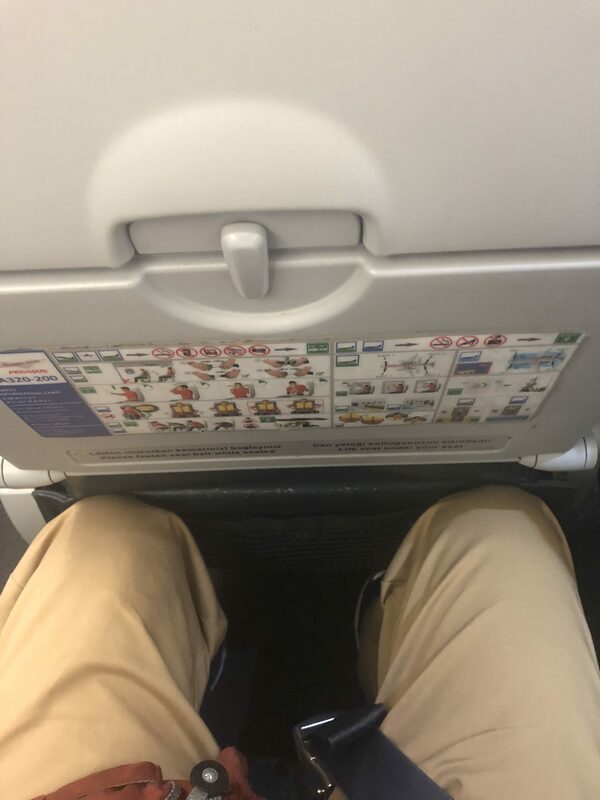 Even the normal seat had enough leg room for a large grown man like me. Pre-ordered food online (which gave more choice as to what to eat on board). Breakfast tray was tasty, fresh and well presented. On-board drinks/snacks were available and whilst expensive, were good quality and fresh. Pegasus' baggage policy means a lot of passengers opt not to check in bags (at cost) and take an 8kg cabin bag on board. 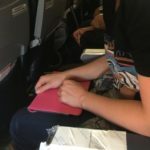 Some passengers were being greedy by trying to stuff small suitcases into the cabin hold - the cabin crew did not complain but it caused some delays inside the plane trying to get everyone's bags packed away and seated on time. "nothing of our luggage has come"
✅ Trip Verified | Sharjah to Amsterdam via Ankara/İstanbul. We passed the registration and handed over our luggage, Pegasus employees took our hand luggage from us near the ramp. Sports bag weighing about 10kg. And a suitcase of 8-10 kg. Flight RS0747 was delayed and we were extra urgently in Ankara. Our plane was three hours at Ankara airport. For reasons unknown to us. I see this for the first time. People began to leave in Ankara. About 10 people left the plane. Accordingly, their luggage was somehow given to them. The rest flew to Istanbul. When leaving I wondered where my bag was (hand luggage) I was told all the luggage would be transferred to the next flight. A Pegasus representative met us all and explained to whom and where to go. Some of the people stayed in the hotel. We went to the Pegasus counter for the next flight to Amsterdam. There we more than once clarified “Where are our bags ? ?”, we were told: “You will get all the luggage in Amsterdam!” I traveled not alone but with my boyfriend. We passed the luggage together. In Amsterdam, nothing of our luggage has come! All 4 pieces of baggage Pegasus lost. We have issued the lost baggage at the counter. We were told to wait 3-5 days. The next day we took 2 large suitcases. A day later, one bag of hand luggage. And to this day there is no one more last bag. In this bag were personal items: shoes, outerwear, handbags, perfume. Mood was spoiled. In Amsterdam was forced to wear what it flew into. "had a fare for under £100"
✅ Trip Verified | Stansted to Athens via Istanbul. Decided to give this airline a go because they had a fare for under £100 as a last-minute booking, with a 2 hour connection, compared to other airlines wanting double that. You can get the mobile boarding pass but there are issues with their app if you always dont have access to the internet. 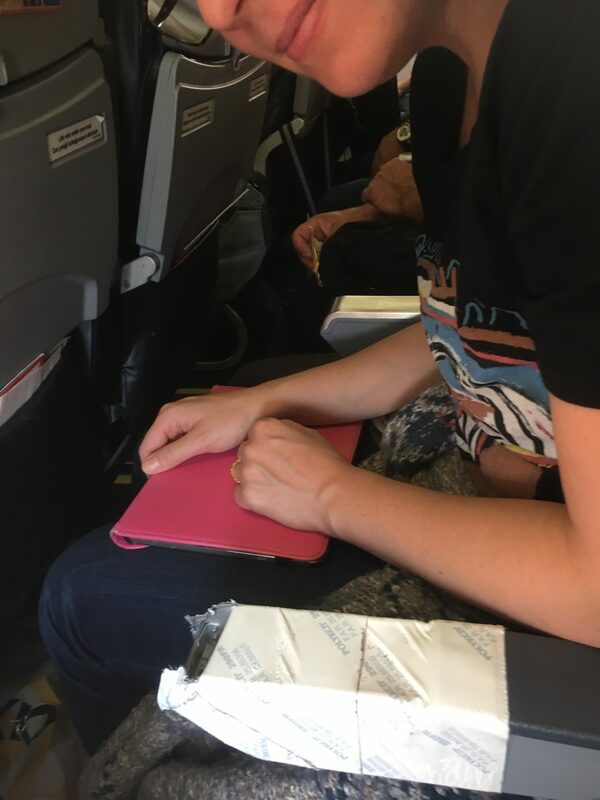 The boarding pass did not save down without you having to put in the booking reference each time and searching for it again which needs an internet connection. When i got to Istanbul i had no internet for my boarding pass but fortunately there was transfer desk who printed out a manual boarding card without a ounce of grief. I would recommend emailing your boarding passes until they sort this issue. 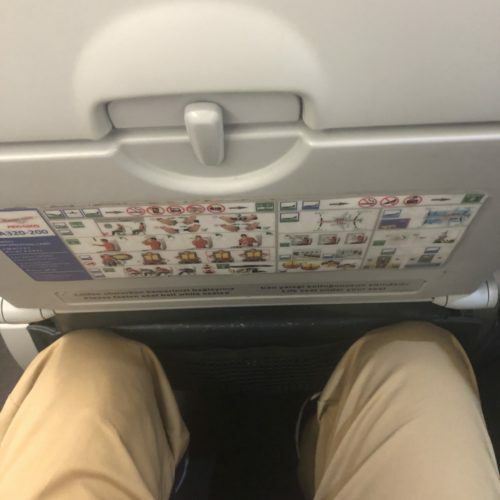 Its very tight seating and the flight was full and the service was basic but i couldn't care less on a flight less than 4 hours. We got there and that's the main thing. Really overpriced food cart so make sure you stock up on your basic snacks. I thought that Istanbul Gokcen was a great airport to transit in great food court facilities and a cheeky way to stock up on cheap tobacco in transit back to Europe. The only thing i didn't care for was Stansted - worst airport that surrounds the London area. Hopefully they expand to Gatwick someday we need airline like this to keep the fares low. ✅ Trip Verified | Amsterdam to Beirut via Istanbul. Terrible customer service experience. I had a flight with a transfer. My bag was a few kilos overweight so I paid the additional 75 euros before my first flight. At this point I was given a receipt and a bag sticker and was told to present this at the next airport if necessary. While boarding the second flight from Istanbul, I was stopped where they informed me that my cabin bag was overweight. I showed the staff members the receipt and bag sticker and yet insisted I pay an additional 45 euros (reduced from 90) and in her very limited English implied that I should hurry up because the flight was leaving and that I would not be allowed to board without paying. 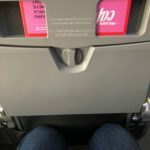 I have flown several budget airlines without trouble, but this one was by far the most incompetent. "worst airline I have used"
Not Verified | Muscat to Vienna via Istanbul. This is the worst airline I have used! The flight was delayed and I missed my connection but nobody cared about it! The delay was only 10 minutes and they didn’t wait however they can see in the system the I am checked in and their plane is late. At the airport office I was waiting 1 hour so that anybody talks to me and Change my flight. They poorly speak English so it took me a while to explain what happened and finally get help.